Hello children! Hope you are having a good day. We have something exciting for the adventurous souls among you. 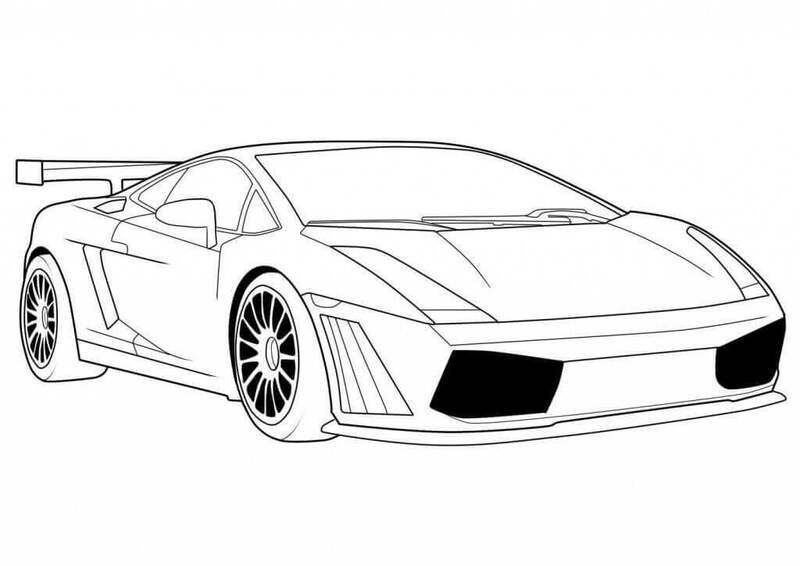 Today, we have brought for you a thrilling collection of Lamborghini coloring pages printable. Lamborghini or Automobili Lamborghini is an Italian brand and manufacturer which was founded nearly six decades ago in 1963 by Ferruccio Lamborghini. Owned by the Volkswagen Group, Lamborghini is famous for producing luxury sports cars and SUVs (Sports Utility Vehicles). 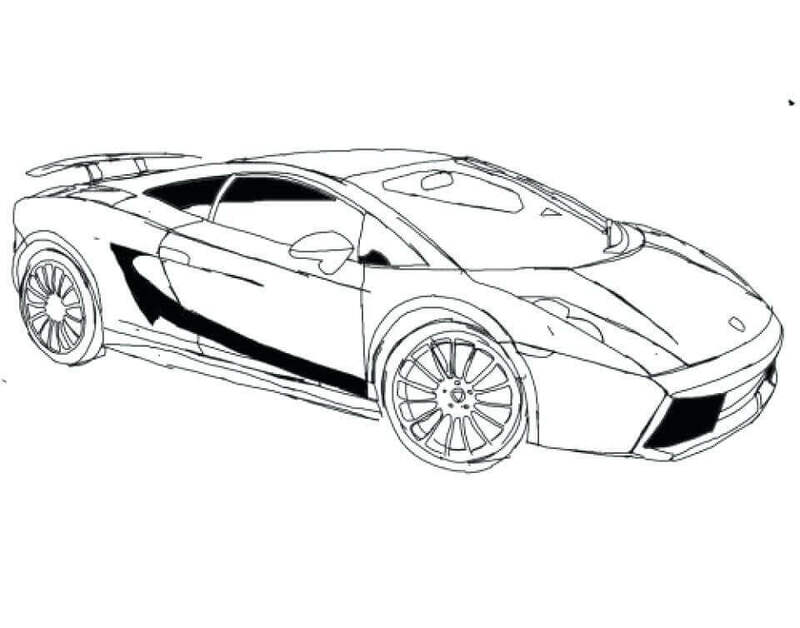 Let’s begin this luxurious ride through this collection of Lamborghini coloring pages to print. 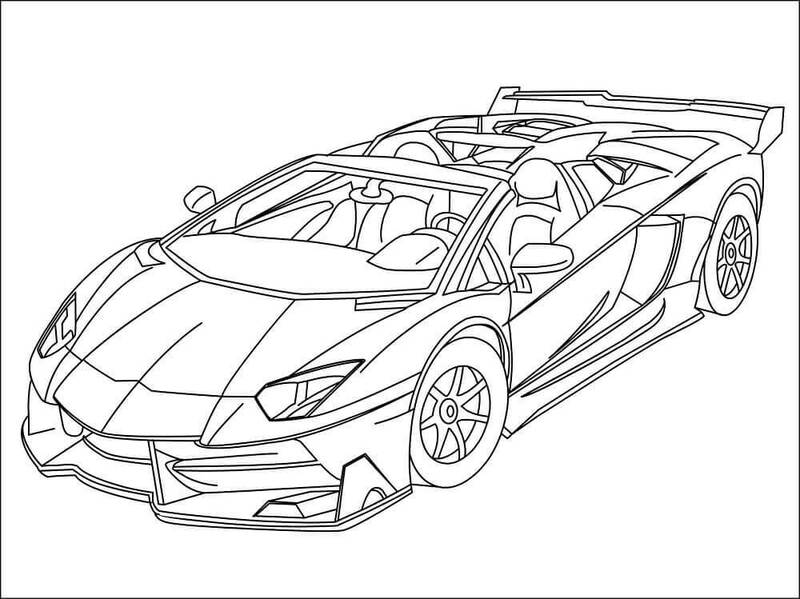 We are starting this collection with a top-view of a stylish Lamborghini car. Check out the minute details in this illustration and give each segment proper colors. A symbol of luxury and pride, Donald Duck is so excited to finally own his new Lamborghini model. 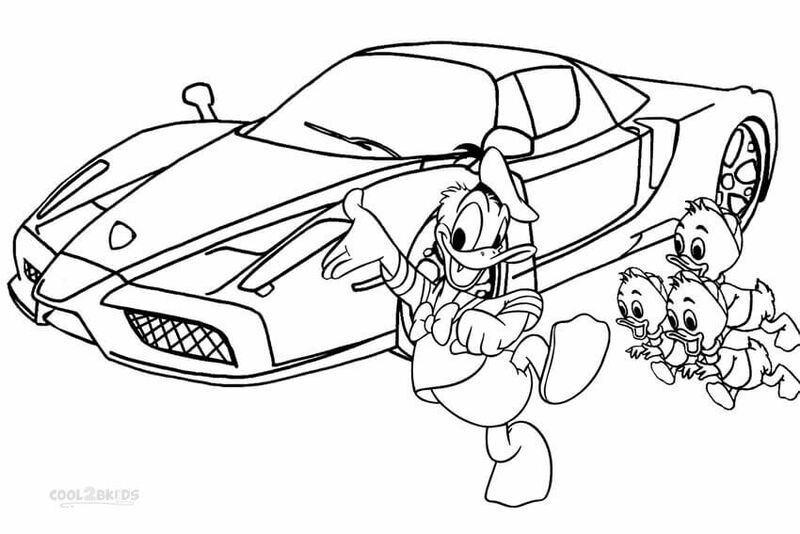 Look at Huey, Dewey, and Louie staring awestruck at their uncle’s new sports car. This illustration of a Lamborghini car with the brand name is ideal for a poster. Print this coloring page and color it diligently to make it look as cool as a real poster. 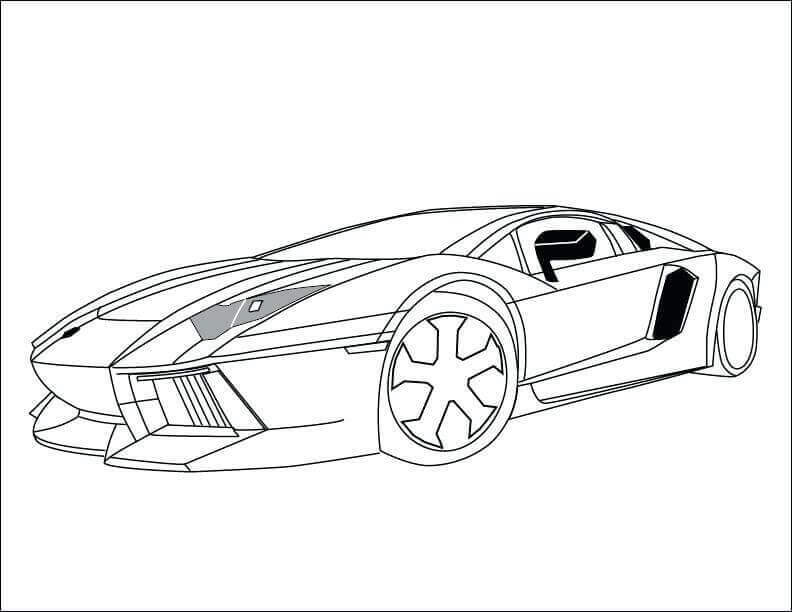 This illustration shows you the Lamborghini Aventador model which was first produced in 2011. Aventador is a mid-engine sports car that can give you a top speed of about 217 mph. 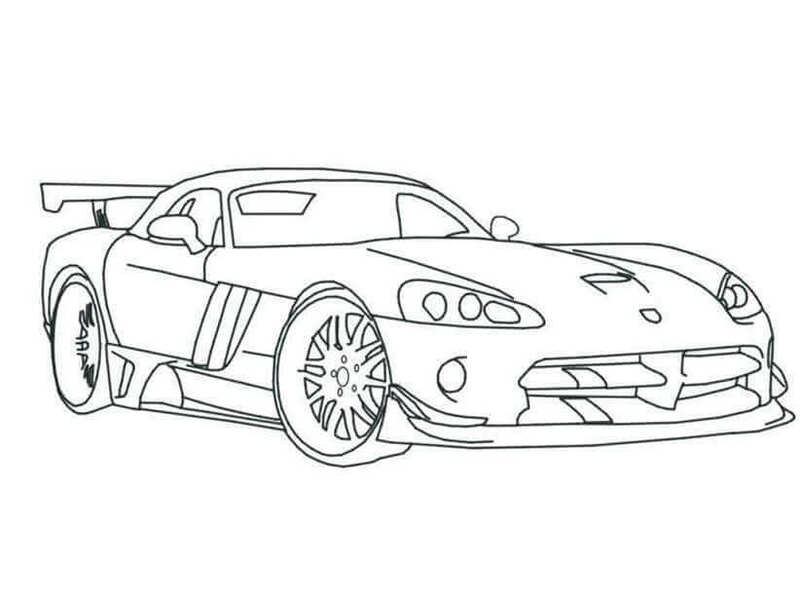 Print this page and make sure to highlight its build and features with your coloring skills. Look at those stylish car doors! 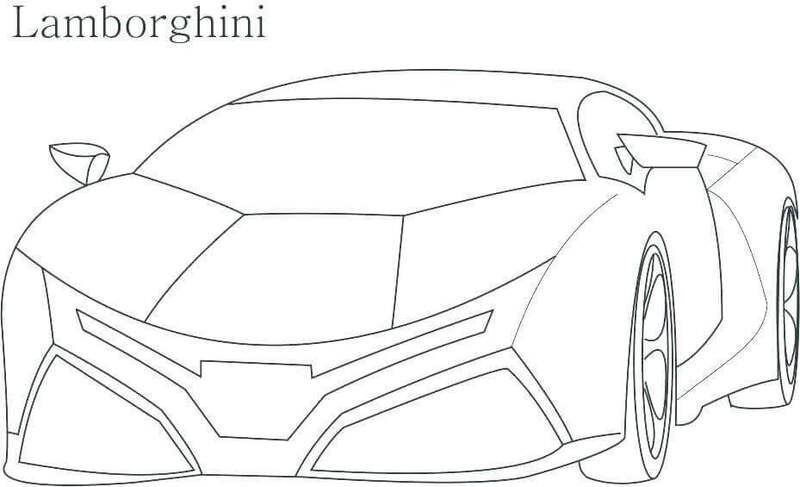 Make sure to do justice to this cool illustration of a Lamborghini car by coloring it giving your full attention. 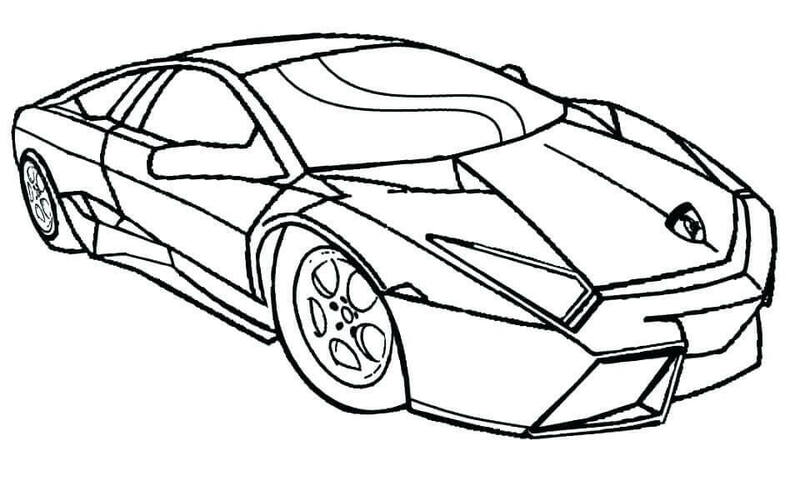 Bring out your best coloring skills to capture the smooth designing of this high-performance Lamborghini car. Print this page and start coloring. 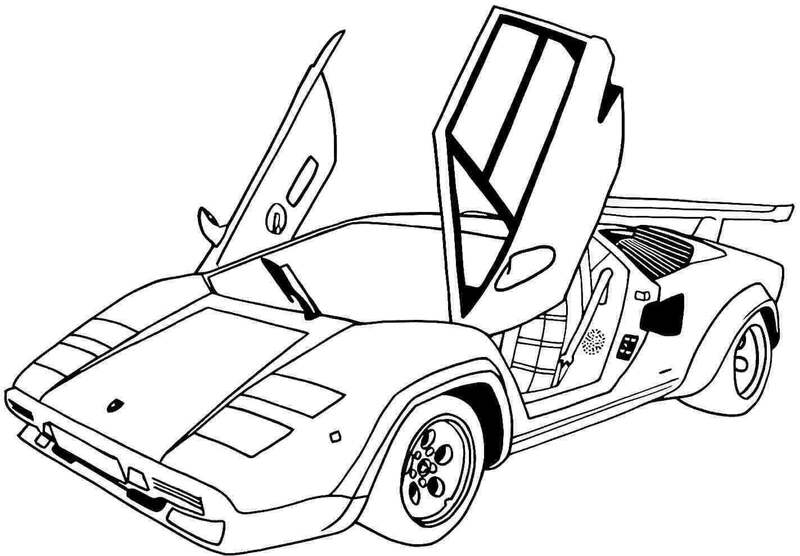 In case you are still new to coloring, this light illustration of a Lamborghini car will be able to get you started. 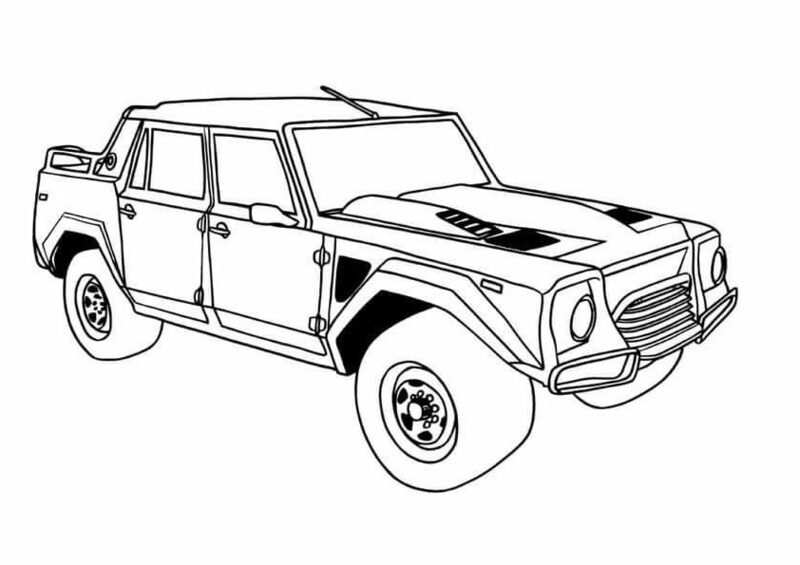 Print this page and carefully start coloring the car. Parked in the open, this Lamborghini car looks formidable. With proper coloring, it will be impossible to take your eyes off this deluxe ride. 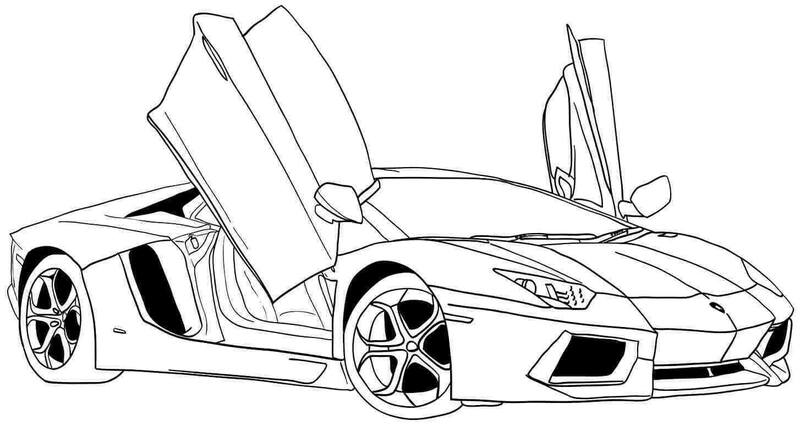 This coloring page brings you a challenging illustration of a Lamborghini car. From the front hood to the tires, from the door to the windscreen, the detailing is on point in this illustration. 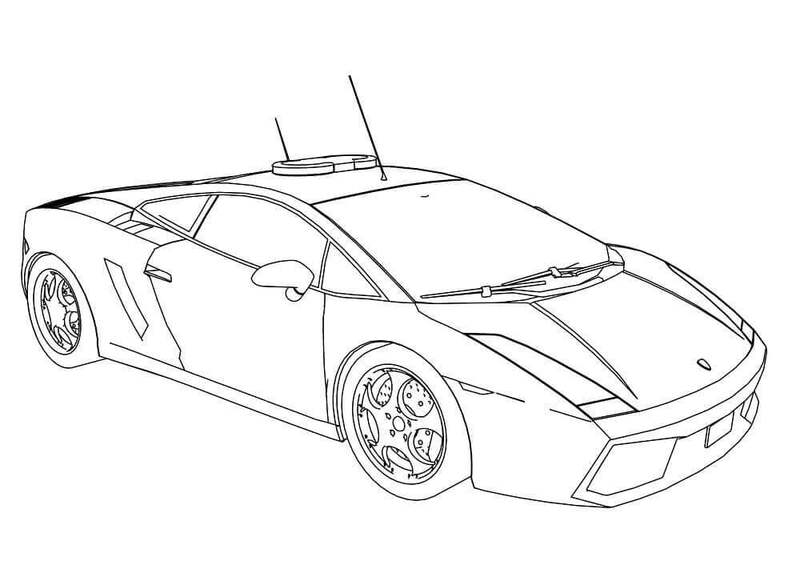 Print this page and get your colors ready to give this Lamborghini some realistic colors. 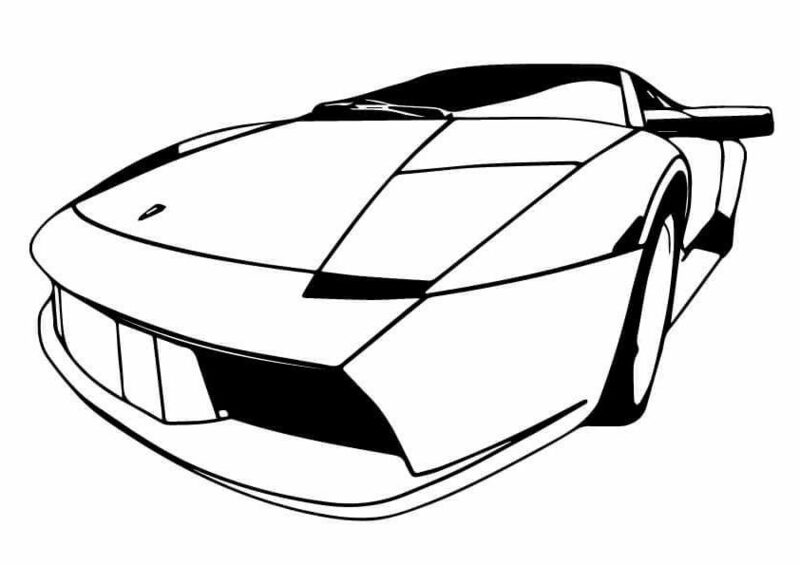 Keeping the front view of the car in focus, this illustration of a Lamborghini sports car is lacking something. It needs your expert coloring skills to come alive in its true colors. Quickly print this page and start coloring. 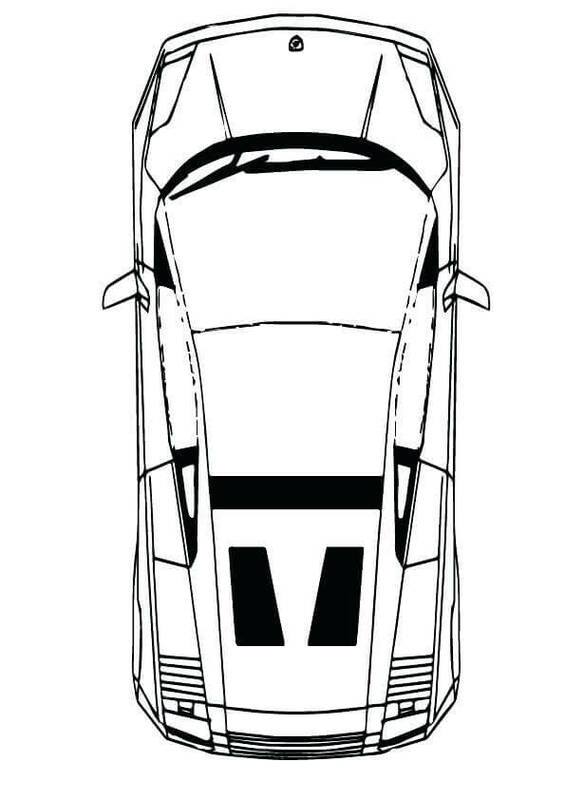 Each part of the car in this Lamborghini illustration has been amazingly drawn, right down to the last detail. All it needs now is some cool colors to make it look as stylishly real as a photograph. Lamborghini first best-selling model, Lamborghini Gallardo was first produced in 2003 till 2013. With a top speed range of 192 mph to 202 mph, Lamborghini Gallardo sold over fourteen thousand models during its production run. After the end of production of Lamborghini Gallardo in 2013, Lamborghini Huracan, powered by the same V10 engines, made its debut in Geneva Auto Show, 2014. Lamborghini Huracan can give you a top speed of 202 mph. Print this page and do justice to the design with your coloring skills. Ferruccio Lamborghini was fascinated with the world of bull-fighting, which led to him using a raging bull as the logo of the company he founded, Automobili Lamborghini. Print this page and bring out the detailing of the bull and the brand lettering with your colors. With a production run from 2008 to 2010, Lamborghini Reventon had made its debut at 2007 Frankfurt Motor Show. Only twenty-one vehicles were produced out of which twenty were sold to the public while one was built for the museum. Powered by a V12 engine, Lamborghini Reventon gave a top speed of 205 mph. This limited edition high-performance sports car, Lamborghini Veneno, was manufactured by the company to celebrate its 50th anniversary. Based on Lamborghini Aventador, Lamborghini Veneno features V12 engines and runs at 221 mph top speed. Selling over twelve hundred vehicles during its production run from 1968 to 1978, Lamborghini Espada is a 4-seat coupe. A coupe is primarily a car that has two doors and a fixed roof. 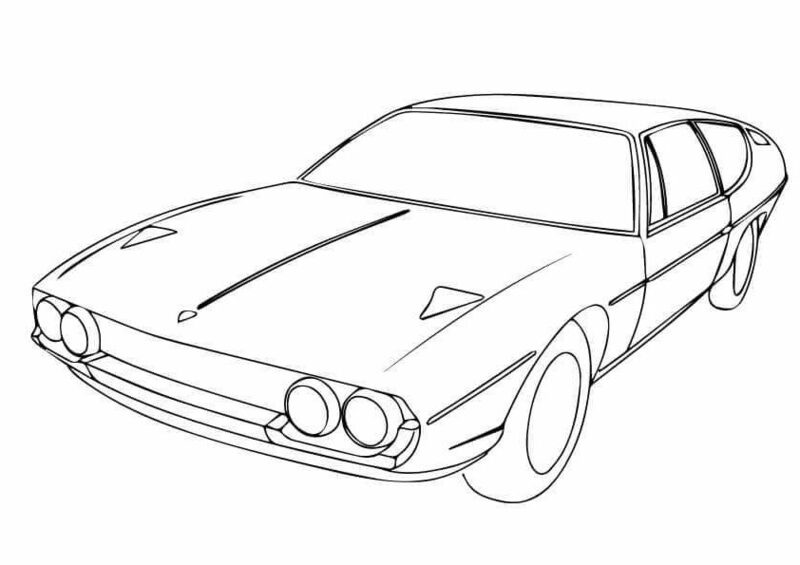 Print this classic car that was powered by a V12 engine and give it some classic look with your colors. 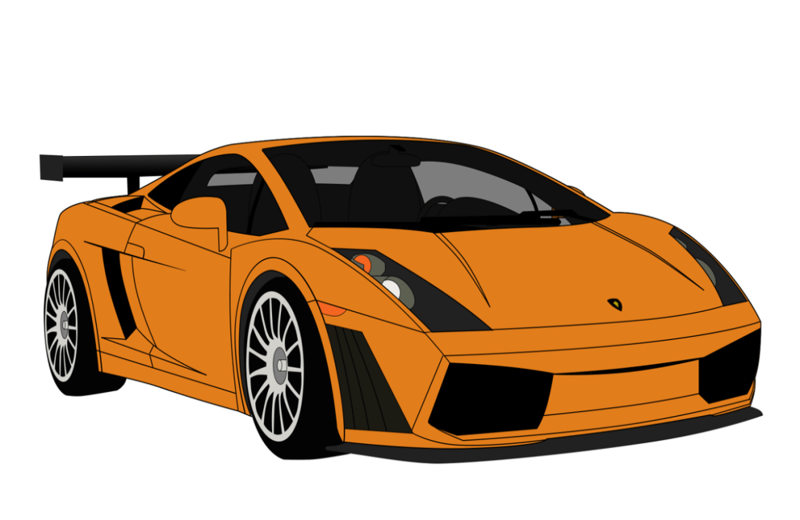 Here’s another illustration presenting a different angle of Lamborghini Gallardo, the company’s first best-selling model. Lamborghini Gallardo was powered by a V10 engine and ended its production in 2013. Manufacturing something different from their sports car, Lamborghini LM002 was produced between 1986 to 1993, to be used as a military vehicle. A total of 328 vehicles were produced of this off-road truck, also known as “Lamborghini Truck”. Powered by V12 engines, Lamborghini LM002 gave a top speed of 130 mph. Powered by V12 engines, Lamborghini Diablo, a mid-engine high-end performance car, was the company’s first production to cross the top speed of 200 mph. In its production run from 1990 to 2001, a total of 2884 Lamborghini Diablo vehicles were manufactured and sold. 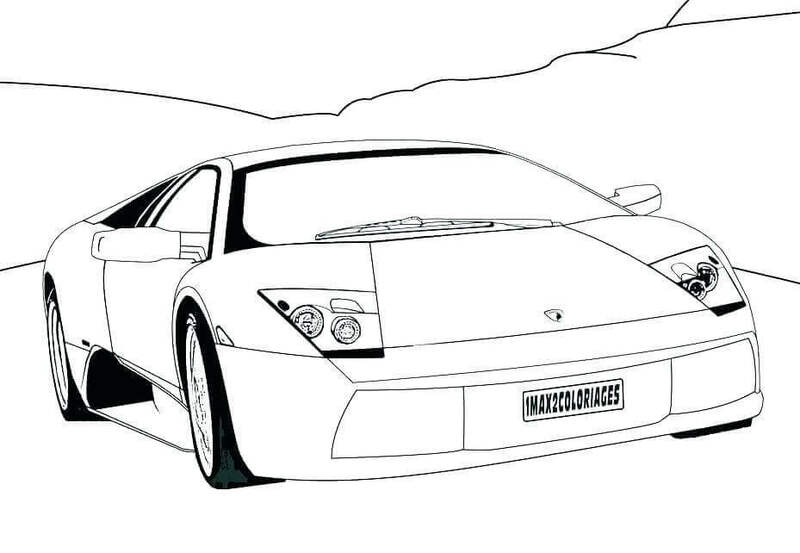 With that sleek model of Lamborghini Diablo, we have come to the end of this collection of Lamborghini coloring pictures to print. Hope you had a fascinating time coloring through the different models of luxurious sports cars, learning a little about their history as well. 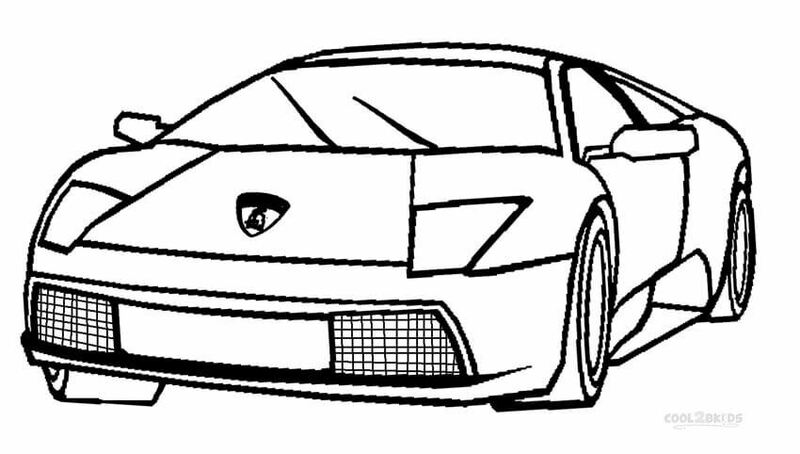 You can share your excitement with your friends by coloring this collection of Lamborghini coloring images printable together. And don’t forget to check out our Aladdin coloring pages.